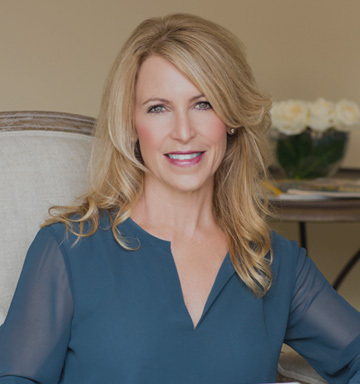 Dr. Angela Bisignano is a psychologist in Palos Verdes Estates. Dr. Bisignano’s practice focuses on marriage and relationship counseling, treatment for anxiety, depression and stress management, coaching for personal and professional development and consulting on parenting, relationships and leadership. Dr. Bisignano provides care to clients throughout the South Bay of Los Angeles County, serving the Palos Verdes Peninsula and the beach cities: Manhattan Beach, Hermosa Beach, Redondo Beach and beyond. Dr. Bisignano’s mission is to help her clients live their best lives. Dr. Bisignano provides her clients the tools, resources and techniques to take better control of their lives and relationships. In this article, Dr. Bisignano answers some fundamental questions that explain her calling to become a psychologist and her approach to therapy. Question: Why did you become a psychologist? Answer: I decided to become a psychologist, because I have a great love for people. I am passionate about coming alongside of people helping them to live their best lives and providing hope. I want to see people gain clarity, perspective and understand that they can take control of their lives and enjoy meaningful and healthy relationships and live fulfilling lives. Question: Why did you decide to practice psychology in the South Bay of Los Angeles? Answer: I personally thrive living and working near the ocean. I am grateful to have such a beautiful community to do the work I am excited about. When your aim is helping people live their best lives you want to lead by example. I have created for myself a professional life that I personally envisioned including the geographic area where I want to work. I feel blessed that we live in such an amazing community. I try and thank God every day for this beautiful place we call home. Question: What is your approach to helping patients? Answer: To begin, I get a thorough assessment of the person or couple coming in to see me. If it is relationship counseling I take a different therapeutic approach than if someone is coming in for anxiety or mild to moderate depression. I use the most effective research-based methods for treating different presenting issues. When it comes to couples’ therapy I use the Gottman Method, Attachment Theory, and Emotionally Focused Therapy. When I am focusing on anxiety I generally use Cognitive Behavioral Therapy; however, my approach is also informed by attachment theory and neuropsychology. I have conducted my own research in the area of anxiety at Harbor UCLA Medical Center and have published my results, as well. This has given me a greater perspective as both a clinician and a researcher on stress and anxiety. Every person is different, so I take into consideration the uniqueness of each person, their individual histories and symptoms. This is the reason for a thorough assessment process from the start. Question: What’s the most rewarding part of being a psychologist? Answer: The most rewarding part of being a psychologist is helping people to know they can have a better life if they chose to. Most people come to me because they are hurting or heartbroken from a relationship, struggling with anxiety or stressed. When I can facilitate healing, restoration, and help people envision a better future that is rewarding. The best aspect is when I get to see people thrive; living with greater well-being, satisfaction, motivation and a sense of purpose. In my coaching practice helping people gain clarity, perspective, envision and achieve a better future is exciting. Whether that is starting a new business, getting to the next level in their current profession, or learning how to better manage home life / work balance it’s thrilling to me. Question: Do you specialize in a specific area of psychology? Answer: My specialties when it comes to therapy include marriage and relationship counseling, anxiety and mild to moderate depression. Many psychologists are full service meaning they do a lot of everything, similar to a general practitioner model. My approach is a little different in that I focus on very specific areas. I do what I feel I am best at and enjoy. Question: What is one of your favorite things to do in Palos Verdes Estates? Answer: That’s a tough one because I have a lot of favorites. One of my favorites, however is walking the trails with my husband and dogs, Lucy and Eli. I enjoy being outdoors, so whether I am on the beach, walking the trails, or dining outside with family and friends it gives me a great sense of wellbeing and refreshment. Being outdoors in this great environment is restorative to my soul. If you’re in need of psychologist in Palos Verdes Estates, Manhattan Beach, Hermosa Beach or Redondo Beach, schedule an introductory consultation with Dr. Angela Bisignano. Whether you’re in need of couples counseling or simply a mental health checkup, she can help. Contact Dr. Angela Bisignano today by calling (424) 206-9055 or request an appointment online.